The Chorale is starting off the 2017 year with an open full day rehearsal on Sat 4 Feb, from 10am-4pm, at St Luke’s Uniting Church, 174 Barrabool Road, Highton. We will be rehearsing music for our first concert of the year, a progamme of American-themed items. All singers are welcome to this open rehearsal. Come along and see what the Chorale is all about. 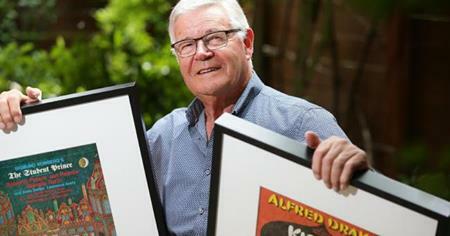 Congratulations to our Australia Day honours recipients – long standing tenor, John Stubbings and our musical director, Allister Cox. The Geelong Chorale community congratulates you both. ALLISTER Cox is living life on both sides of the music stand guiding local choir groups and musicians to achieve their potential. FOR more than 30 years the tones of tenor John Stubbings have rung through Geelong’s churches, stages and classrooms. 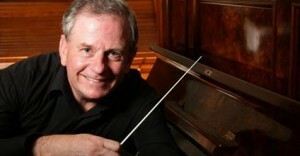 Conductor, Geelong Community Orchestra, since 2005. Conductor, Geelong Chorale, since 2011. Musical Director and Conductor, For the Joy of Singing the Classics, since 2012. Clarinettist, Singer and Conductor, Music at the Basilica, current and Committee Member, ongoing. Performer and Musician with a range of theatre companies including Geelong Society of Dramatic Art and Geelong Lyric Theatre and Theatre of the Winged Unicorn and Melbourne Opera, ‘for many years’. Cantor, Chorister, St Mary of the Angels Basilica, Geelong, current. Chorister and Cantor, St Francis’ Catholic Church, Melbourne, ‘for many years’. President, Geelong Music Teachers’ Association, 2006-2013 and Vice President, ‘for many years’. Music teacher, Clonard College, since early 1980s and Sacred Heart College, since 1985 and Geelong Grammar School, since 1995. Assistant Musical Director, Geelong Chorale, since 2003 and Choir Member, 2005-2014. Assistant Musical Director, Geelong Welsh Ladies Choir, 2004-2014 and Master of Ceremonies on several occasions. Chorister and Soloist, St Paul’s Occasional Choir, 1989-2008. The Geelong Musical Comedy Company. The Geelong Lyric Theatre Society. Theatre of the Winged Unicorn, 1961-2000. Geelong Young Men’s Association, 2004 and 1975-1999. Geelong Advertiser Music Scholarships, 1995-2007. Footscray, Yarraville, Kew and Preston Brass Band tours, 25 concerts and 2 overseas tours. Geelong Schools Music Festival, ‘for several years’. Adjudicator, Geelong Eisteddfod, and CWA, and Highton Rotary Club Star Search, 1985-2014. Life Member, Rotary Club of Highton/Kardinia, 1992-2009. Director of Music, several Victorian public schools including Geelong West Technical School, Bell Park Technical School, Mt Clear Secondary College and Grovedale Secondary College, 1964-1996. Casual Teacher, Western Heights Secondary College, 2001-2002.